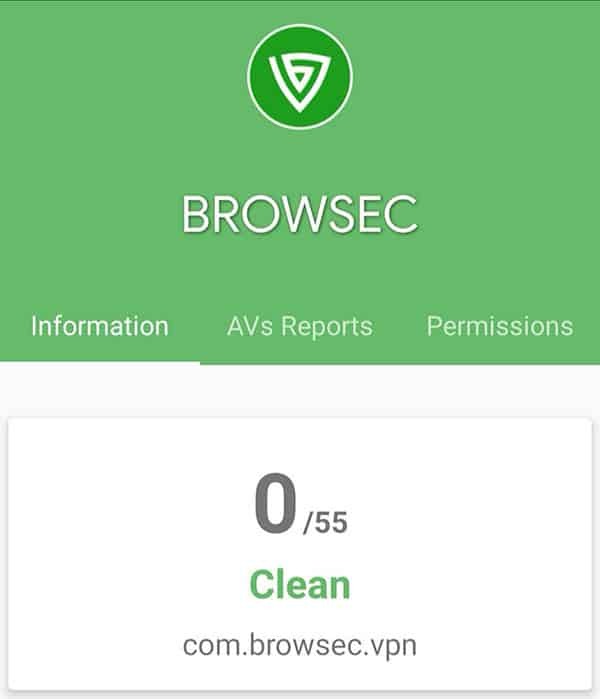 Browsec VPN promises a lot for its users. It’s bold enough to make claims that speeds reach up to 100mbps without sacrificing secure, private browsing on the internet. Claims are all well and good. But after personally reviewing it, the product shows significant flaws like its actual speed, legal jurisdiction, and overall usage. Don’t get me wrong, Browsec has a lot of robust features that are worth your money. Still, how secure is a house with thick walls when its doors are never locked? 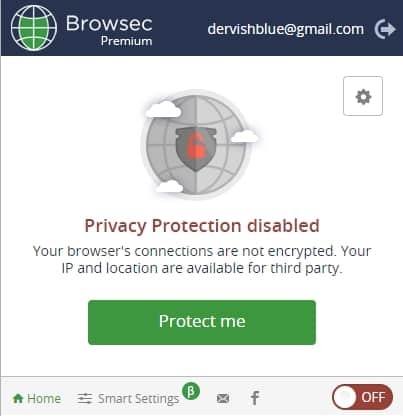 Browsec is a good VPN service that’s unfortunately marred with three critical issues. Is it worth your money? Well, that’s what this review will talk about. 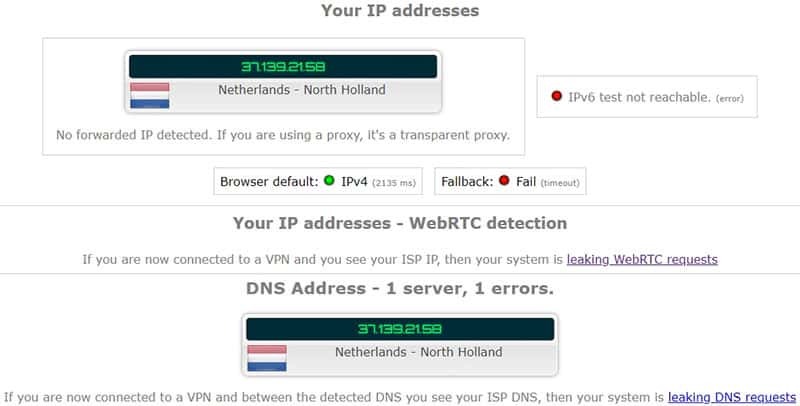 I put Browsec through a series of tests to see if it leaks my IP address, DNS, or WebRTC. All came back clean. Browsec passed this security test without a single hitch. A secure connection means that your true location is safe and you’re able to use public Wi-Fi without the fear of hackers getting into your system. Keeping your real location hidden also means that you can ‘unblock’ content that’s otherwise inaccessible in your country. Thankfully, the train bearing good news doesn’t stop there, either. I ran the Browsec installation files through a VirusTotal scan and found it to be clean, too. So you don’t have to worry about any advertising technology (or worse) inadvertently stealing your private information. The bad news is that Browsec can still hand over your personal information if they are required to by law. But this is fairly common among some privacy policies, and it’s often up to the home countries laws (we’ll get to this in a few minutes). Server count and the amount of location available offers a lot of room for flexibility and different features. This is because of certain media outlets such as Netflix and Hulu offering different products from one location to another. The premium version, on the other hand, has 36 server locations for you to choose from including the ones listed above. Browsec also claims that its total server count is growing. This could offer more room for different networks to be available. Browsec users will have to wait for said growth, but the current number available is already pretty good. Using a VPN to sidestep geo-restriction laws used to be easy. 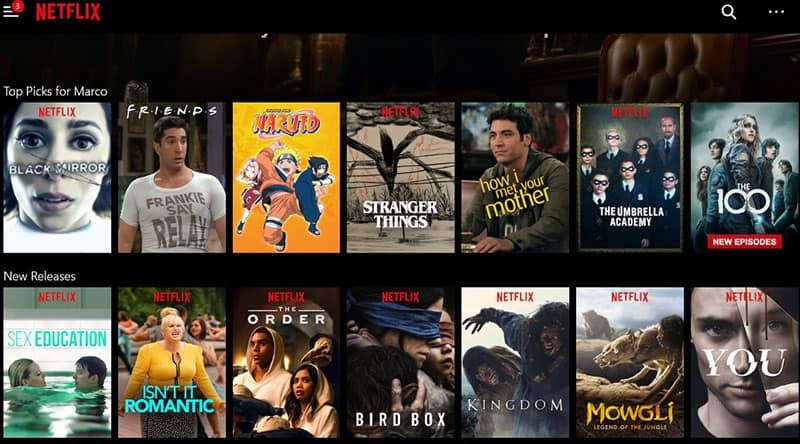 Fire up a server in any country you want, pull up Netflix, and watch their content. Unfortunately, streaming services have wised up. In fact, most of the VPNs we’ve tested don’t work with services like Netflix anymore. Browsec doesn’t have a desktop version of its app. It’s only available for iOs, Android, Firefox, Opera, and Chrome. The latter three versions are only an extension. This means that if you want to use Browsec to access Netflix, you’re going to have to use your browser to do it. Their IPsec default isn’t as strong as OpenVPN, but is significantly more secure than older protocols like PPTP. Browsec’s browser extensions use HTTP Proxy. Its lightweight nature makes it easier to access and retains the same level of encryption as a TLS protocol. At first pass, Browsec doesn’t offer a robust knowledge base or FAQ like some VPN companies. They also don’t have live chat available, either. That caused some concern initially. Thankfully, their email support was both fast and knowledgable. 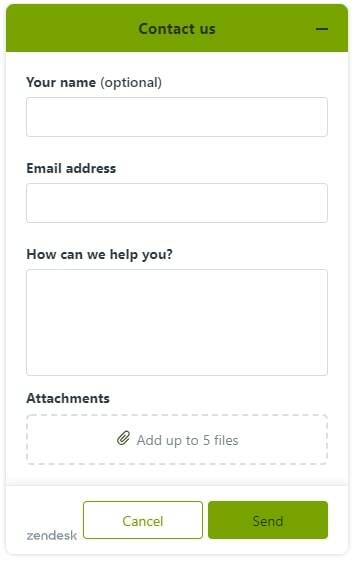 You can contact their support team through the icon located in the lower right corner of every page of their website or through their feedback page. You provide your email address, your question, and any related files. That’s it. In my case, I only waited a little over an hour before they replied. I asked them a bunch of questions and they gave me straightforward answers. They expand on their answers which helps remove the need for further questions. Browsec’s usability is pretty good. Firstly, installing the VPN extension on your browser only takes a few clicks. Once it’s setup, you can login and start using their secure network. Browsec also has a “Smart Settings” feature. This allows you to hide your identity when visiting certain websites. The only downside is that you’re unable to switch protocols because there’s no built-in function inside the app. A kill-switch allows a VPN to cut your internet connection whenever its server network goes down. This prevents you from unknowingly using the internet in a vulnerable position. A kill switch is ideal on all app-based VPN networks like ExpressVPN or NordVPN. However, because you’re connecting through a browser on Browsec, you don’t need one because the browser itself would shut down if you lost a connection. Browsec claims to offer speeds up to 100 Mbps when connected. However, after actually testing them, this boast turned out to be false. The problem with slow speeds like these is that even though you could stream Netflix in theory based on the two servers that worked, you’ll probably experience delays and other performance issues. Browsec does not have an “about” page. It also doesn’t list any information on where it’s located. The only thing you’ll learn about the service is that it’s based on Russia. Is this is a cause for worry? Yes and no. A lack of transparency about its background could mean that it values and protects the data of its users based on the laws of its government. Here’s why. 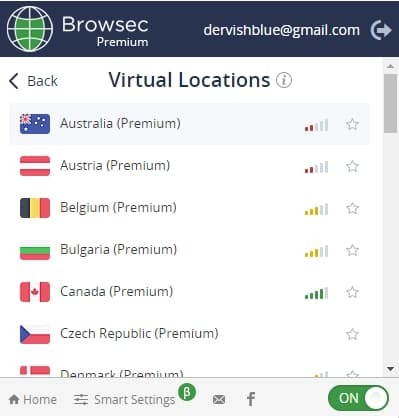 The image is taken from their email support when I asked about BrowsecVPN’s location. There is a reason why the best premium VPNs like ExpressVPN are located outside the “Eyes” intelligence alliance. The 14 countries in the Eyes alliance is working together to take whatever data they want from ISPs and certain VPN providers located within their borders — without you even knowing. Browsec is not headquartered under the 14 Eyes. However, Browsec is located in Russia. And they have their own strict online censorship laws. 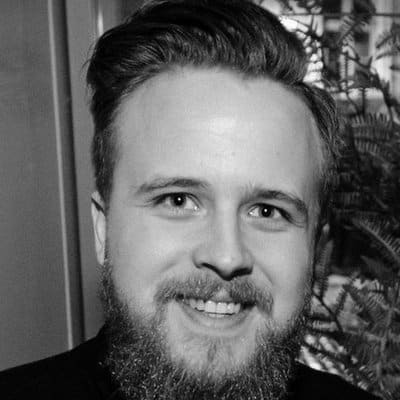 Russia is continuously monitoring online activity which is bad news for any VPN provider located under them. Does this guarantee that Browsec is handing over user information to the Russian government? Not really. But by definition, they’re also not going to put up much of a fight, either. 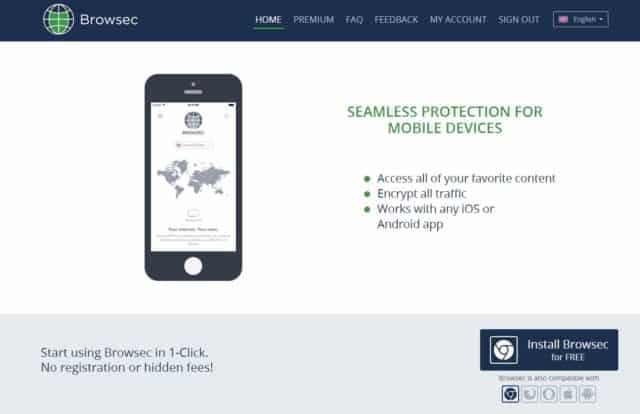 Browsec is only available for iOS, Android, Chrome, Mozilla Firefox, and Opera. But that’s only through browsers, not apps. That’s one of the reasons why Browsec doesn’t work on Windows. Any apps that are outside of your browser are not safe. It’s not compatible with TOR. You can also forget about safe, anonymous torrenting or problems concerning your bandwidth use. Downloading a torrent file is done outside of your browser. If you do want to watch Netflix, you can still do it, but make sure that it’s on your browser. Forget about the standalone app that you can get on Windows. Finally, using Browsec with TOR or through your router is not possible. Their support team confirmed this. The yearly plans are priced competitively, just a notch below NordVPN. 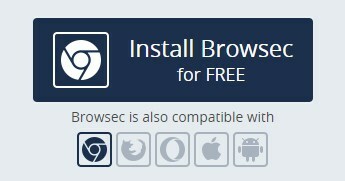 If you want to buy Browsec, but are unsure about whether or not it’s worth trying, you can download its free version. The number of server locations that you can use. If you have bought Browsec but wish to cancel, the service offers a 7-day money-back policy. You can cancel your subscription through your account in their website with just a single click. Asking for a refund, on the other hand, requires you to email their support team ([email protected]) from the correct account email. You also have to provide the date time, and payment provider used to get a faster response. Personally, I think that you can do better than Browsec. But I don’t suggest that you should count it out, either. Browsec offers a lot of solid features such as military-grade encryption, a large number of servers, great customer support, and access to Netflix. This is made even better with its ridiculously-simplistic setup and use. On the side of the conversation, you have negatives such as the slow connection speed, the browser limitations, and the fact that it’s located in Russia. Paying for a VPN service means that you value your privacy on the internet. That same value is thrown out the window if an anti-privacy government governs the VPN. If you’re planning on buying Browsec, I recommend that you consider doing it in the future when they have a desktop version available. P.S. I’m always interested in user-reviews so if you’ve used Browsec before, leave a review! Let us know if you’re experience matched ours.